I love using natural remedies when someone is sick. 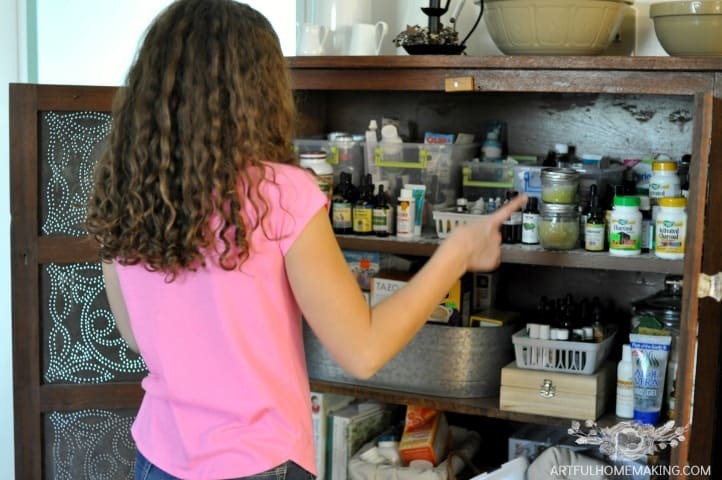 Here’s what’s inside our natural medicine cabinet. When someone in our family is sick, my husband and I reach for our favorite natural and herbal remedies. 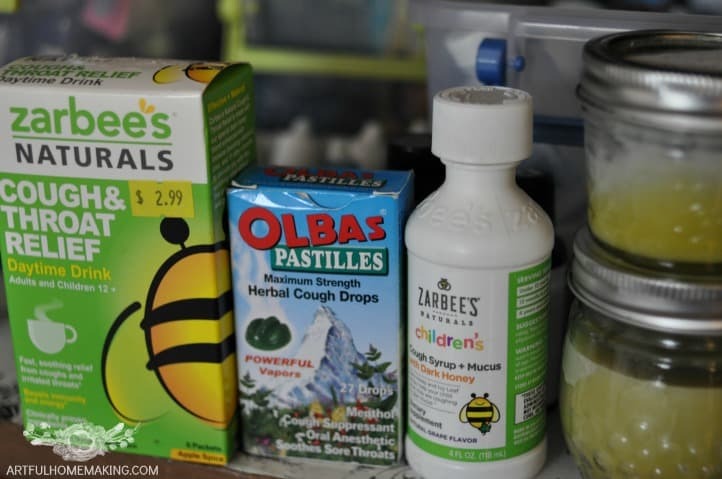 We won’t hesitate to seek medical care if there’s a serious emergency, but for everyday ailments such as headaches, bee stings, fevers, and sore throats, we try natural medicine first. We keep all of our natural remedies in an antique pie safe in the kitchen. I previously had things stored in various locations, but moving everything to a central location made it so much easier to keep organized. The top shelf has bins that hold various items. The bin on the far left has pain relievers and fever reducers, the next one has cough drops and cough syrup, and then the other two bins contain ointments, creams, and various things. 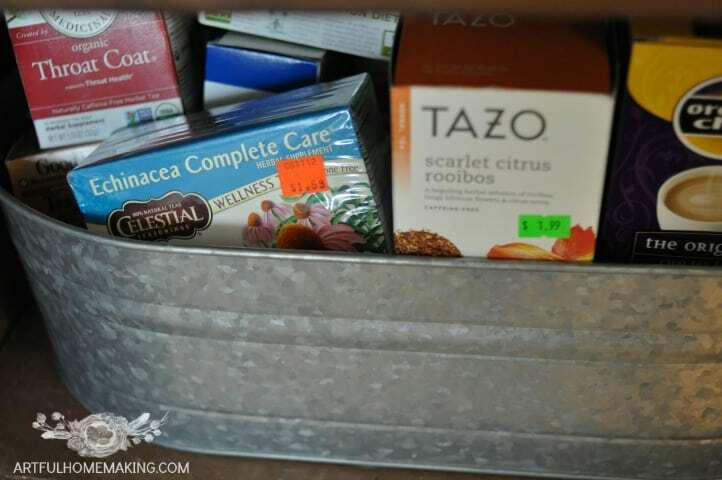 Here’s a detailed look at what’s inside our natural medicine cabinet. Not sure how to use essential oils? This is my favorite essential oil reference book. I keep our main natural health reference books right in the pie safe so they’re easy to find. 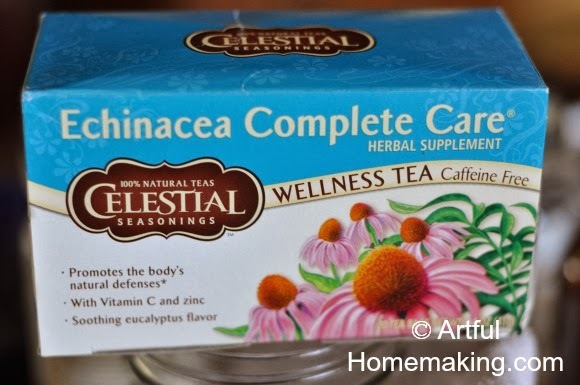 and a large selection of herbal teas, including chamomile, echinacea, cold and flu teas, red raspberry, Throat Coat, etc. Those are pretty much the main items we reach for when someone’s not feeling well. I may have forgotten something, but those are the things that come to mind that we use the most. 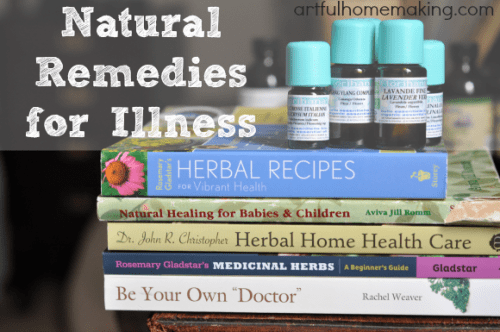 Do you use natural remedies? 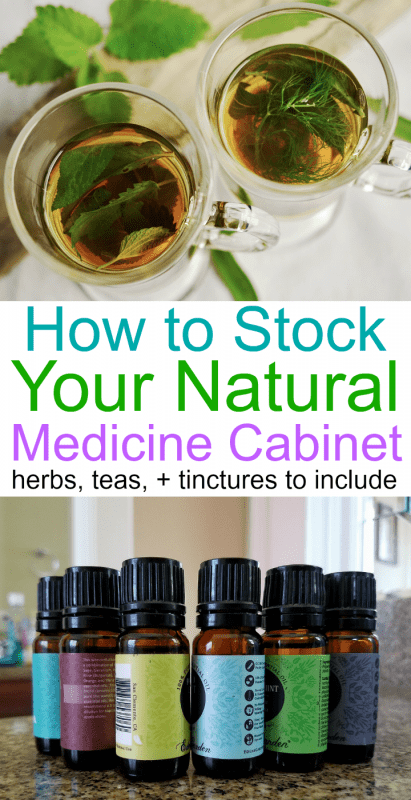 How do you stock your natural medicine cabinet? Thanks for sharing this! I’m just starting out making my own remedies for my family very helpful to see what works for another family! Glad it was helpful! Thanks so much for stopping by, Virginia! oh, Joy, thank you so much! This is such a wonderful, comprehensive list that is DO-ABLE! I’m pinning this and I’m going to sit down this weekend and write out a plan for re-building my own medicine cabinet. Since moving last year, I’ve let it go and have not taken time to replace and revive things I should. Thanks for the inspiration and motivation! I feel like you just took all the guesswork out of it for me! My collection is a bit of a hodge podge, and although my intentions are good, my knowledge needs bit of help. Thank you! It’s always wonderful to see what other women have created for medical needs. I have many natural things in my cabinet as well. I love to see my family learning and using what is there. 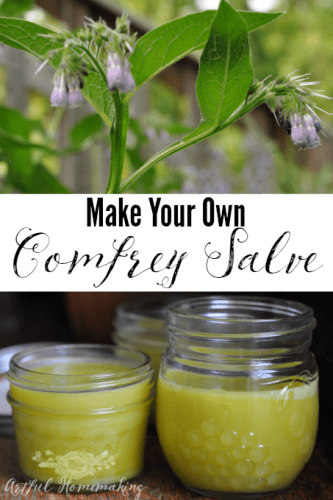 I agree, I always like to see what others use for natural remedies! Thanks for stopping by, Jennifer! So glad you stopped by, Debra!